Uttar Pradesh Chief Minister Yogi Adityanath will visit Ayodhya on 31 May (Wednesday) just a day after an CBI court in Lucknow framed charges against BJP leaders L K Advani, M M Joshi, Union minister Uma Bharti and other accused in connection with Babri Masjid demolition case. Reportedly, the Chief Minister will offer puja at the makeshift temple at the Ram Janmabhoomi-Babri Masjid complex. 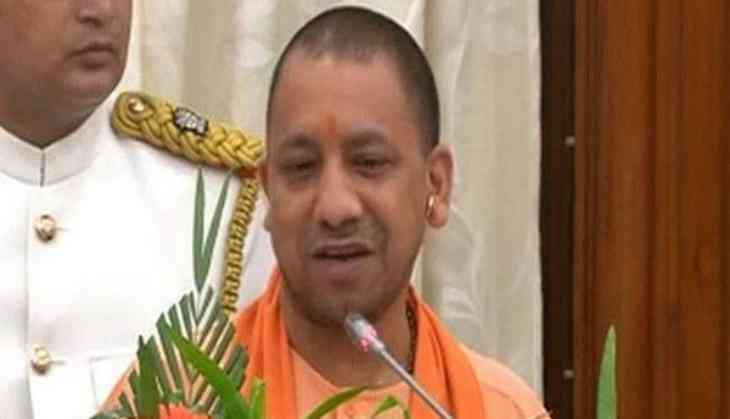 According to media reports, CM Adityanath will attend the birth anniversary programme of Ram Janmabhoomi Nyas head Mahanat Nritya Gopal Das, who is one of the accused against whom CBI court framed charges on 30 May. Advani, M M Joshi and Uma Bharti have been charged with criminal conspiracy in the 1992 Babri mosque demolition case by a special CBI court. The court, which earlier rejected their discharge petition, framed charges against Advani (89), Joshi (83), Union minister Bharti (58) and three others under Section 120 (B) of the IPC (criminal conspiracy). The three others are the BJP's Vinay Katiyar (62), VHP's Vishnu Hari Dalmiya, who is in his late eighties, and one-time Hindutva firebrand Sadhvi Rithambara (53). The accused had argued against the framing of charges against them, asserting that they had no role in the razing of the mosque and had tried to stop it. Their discharge petitions were rejected by the judge. The court is hearing two separate cases relating to the demolition of the 16th-century mosque. Six others accused in the second case -- Ramvilas Vedanti, Baikunth Lal Sharma , Champat Rai Bansal, Mahant Nritya Gopaldas, Dharam Das and Satish Pradhan -- were also charged with conspiracy and offences such as promoting enmity between different groups on grounds of religion, race, etc, and defiling a place of worship with the intent to insult a religion. Vedanti and the other five were, under various IPC sections, also charged with imputations prejudicial to national integration, committing deliberate and malicious acts intended to outrage religious feelings, making statements leading to public mischief, rioting and unlawful assembly.